Stocks sank more than 1% on Wednesday after the Federal Reserve announced plans to further reduce its monthly bond buying program. While the Fed's decision was not a surprise, some investors had expected the central bank to address the recent turmoil in Turkey and other emerging markets that has spilled over to Wall Street. Drew Nordlicht, managing director at wealth management firm HighTower in San Diego, said that investors were disappointed by the Fed's decision to "not even acknowledge the strains" in emerging markets. 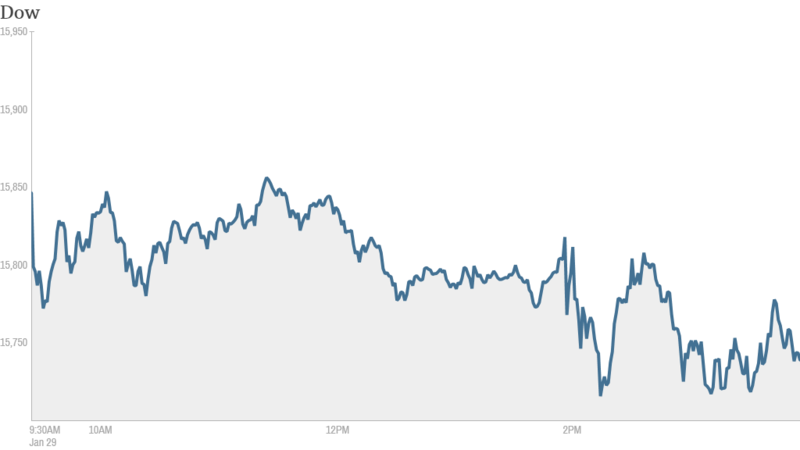 The Dow Jones industrial average lost nearly 190 points. 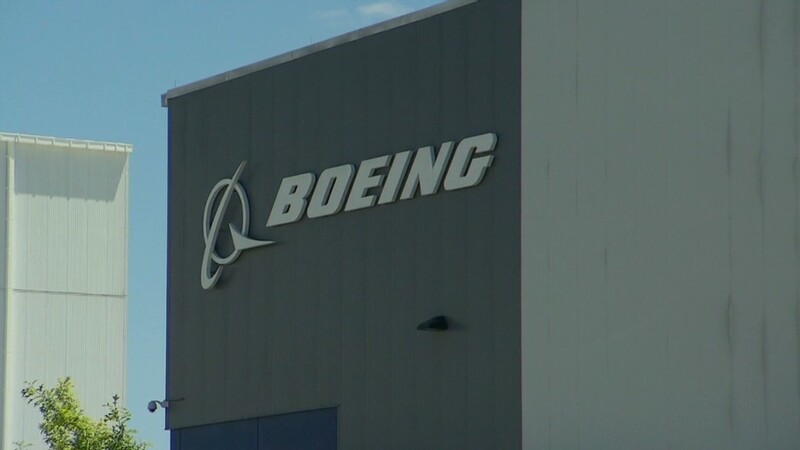 Boeing (BA) was the biggest drag on the Dow as investors were disappointed by its earnings outlook. AT&T (T) also gave earnings guidance that fell short of expectations. The S&P 500 and the Nasdaq both fell more than 1%. Stocks started the day on a sour note due to concerns about Turkey. The Turkish lira fell further Wednesday despite an emergency interest rate hike Tuesday. Investors have been rattled in recent weeks by what some are now calling the Fragile Five of developing markets: Turkey, India, Brazil, Indonesia and South Africa. In addition to Turkey, India and South Africa have raised rates this week to stabilize shaky currencies. The Argentinian peso has been in free fall since Argentina's government moved to devalue the currency last week. China has also been a source of concern since a report on manufacturing activity came in weaker than expected last week. Many emerging markets have benefited over the past few years as the Fed and other central banks have pumped money into the global economy. But investors have been pulling out of emerging markets this year now that the Fed has begun to scale back its bond buying. The bet is that higher rates (and a stronger dollar) in the U.S. will make emerging market investments far less attractive. And even though nobody was surprised by the Fed's decision to reduce its bond-buying program to $65 billion a month from $75 billion, the move clearly rattled investors. "There was a real visceral reaction that may have been about emerging market fears," said Kristina Hooper, U.S. investment strategist at Allianz Global Investors. "Clearly the market has fragile nerves right now. Even an expected event can cause jitters." What's moving? Yahoo (YHOO) shares sank more than 8% following weak quarterly earnings and sales results. That made Yahoo the worst performing stock in CNNMoney's Tech 30 index. After the market closed, Facebook (FB) reported earnings and sales growth that blew past analysts' expectations. The stock surged on the news. Apple (AAPL) shares were down again. The stock has been under pressure since the company reported iPhone sales Tuesday that fell short of expectations. Apple briefly dipped below $500 for the first time since October. Some traders say Apple shares will continue to slide until CEO Tim Cook demonstrates that the company can still innovate. "$AAPL Cook obviously doesn't care about share prices. Stock will go down further until we see new products," said StockTwits user nicuagain. "$AAPL no one is going to be doing any buying until new product rumors come out. better places to put cash for a while," said Buyside. But others were holding out hope for a rebound. "$AAPL this will turn around in a few weeks. I keep telling myself. gut feeling," said iamjonnymac. "$AAPL will bounce back... a high bounce at that," said FraserFP. Still, there were some stocks rallying on good news. Dow Chemical (DOW)reported better-than-expected earnings and sales, raised its dividend 15% and boosted its share buyback program to $4.5 billion. Shares of Electronic Arts (EA) were higher as investors shrugged off a weak outlook and focused on earnings and sales that topped forecasts. Overall, the bulk of quarterly results for the companies in the S&P 500 have been better than expected. Of the 114 companies that have reported earnings, 98 have topped analysts' modest expectations, according to S&P Capital IQ. However, 100 of those companies have issued disappointing earnings guidance.